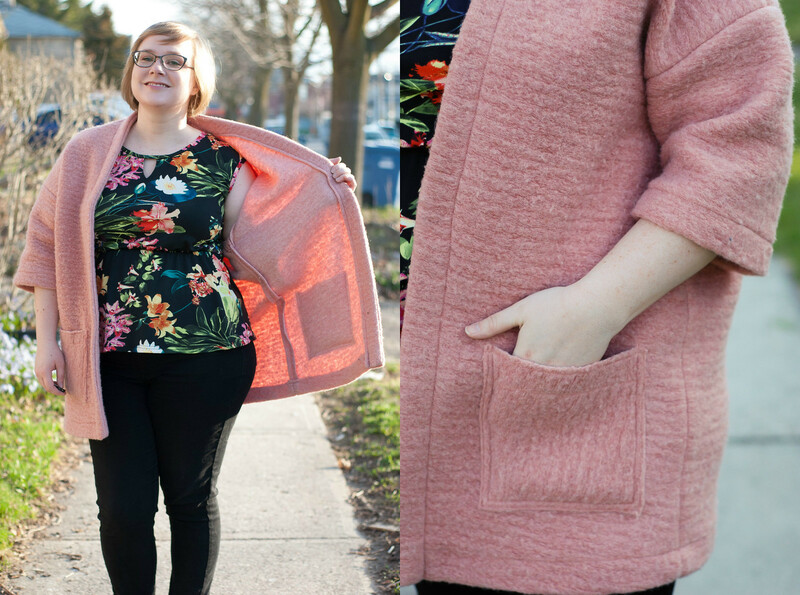 If my last Berlin coats just barely fulfilled my #sewingdare from the Love To Sew girls to make a coat, then I think this project finally counts! 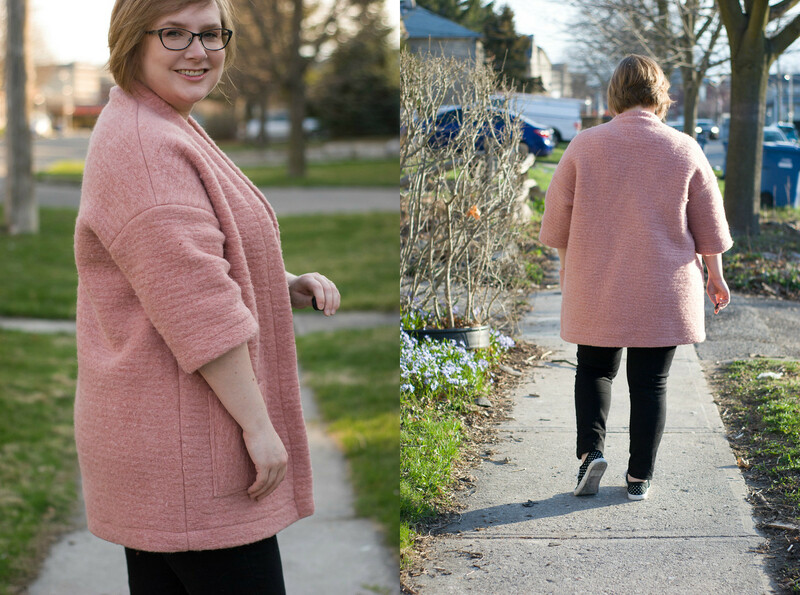 This version was made during the last of the chilly weather as a transitional coat for spring and fall. It’s sewn in a thick wool knit I found locally at Len’s Mills, which is basically the weight of a traditional heavy wool blanket. It’s felted on the outside, but clearly a knit on the inside! The fabric was PERFECT for this project! 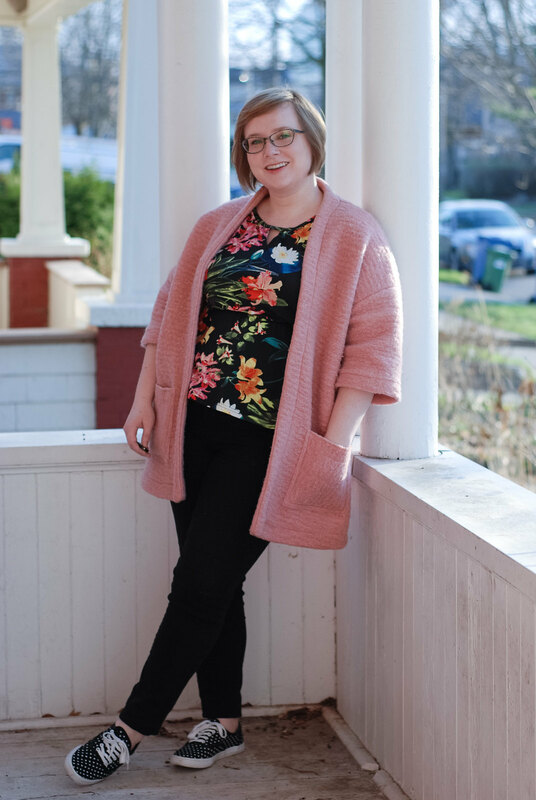 It’s cosy and warm on a crisp days, but the open front and cropped sleeves keep it feeling more cardigan than coat. I sewed it on my regular machine, because I wasn’t sure the serger could handle the bulk. I used the selvedge edge of the fabric as the top of the pocket, which means there is no bulk and a nice stable edge. I talked myself out of buying this fabric when I first found it, but went back two weeks later to pick it up! It was only about $10/m, so how could I not? 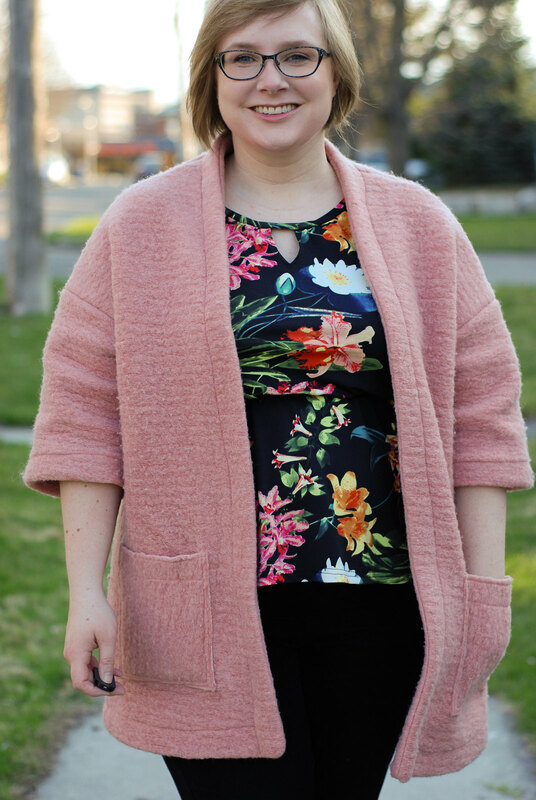 I’ve worn this jacket quite a bit this spring, and I always get compliments on it. It’s my favourite type of sewing project – let the fabric shine, and keep the sewing simple! Sewing a Big 4 Pattern: Burda! I love this!! Such a fab colour, great pattern! Is it from Tissuti?